Remix the hits with Hit 'n' Mix. One of the questions we often get asked is whether it's possible to take a mixed stereo audio file and extract the separate parts from it (vocals, guitar, drums etc). 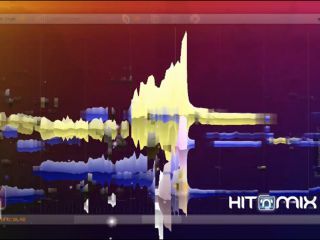 Traditionally, the answer has been 'not really (although Celemony's Melodyne Editor does let you edit the individual notes of polyphonic audio files), but a new piece of software called Hit 'n' Mix purports to let you do just that. As you can see in the video above, notes are exploded visually as they're played back, and we're also told that you can open multiple tracks at a time and replace parts from one with those from another. Does it work? If you've got a PC, you can head over to the Hit 'n' Mix website and download the free Play version and find out for yourself. The full version costs £79.99.